HELLRAISER is one of the best horror films of the late 1980's and if you missed it the first time around on the big screen well you get another chance, as Pinhead and his hellish chums come back to celebrate its 30th anniversary. Not only that but it also gets its own steelbook special edition release from Arrow Video. A couple, Larry and Julia, move into an old house belonging to Larry’s family, to make a fresh start. Exploring the dilapidated house, Julia discover a hideous creature - Larry's half-brother Frank, who is also Julia's former lover - hiding in the attic. Having lost his earthly body to other-worldly demons called the Cenobites after a ceremony with a strange golden puzzle box, he is brought back into existence by a drop of blood on the floor. Frank soon forces his former mistress to bring him human sacrifices to complete his body in a bid to escape the clutches of the Cenobites… but the Cenobites have other plans for him. The cast of this 80's horror consists of Andrew Robinson (Dirty Harry, Charley Varrick), Clare Higgins (Hellbound: Hellraiser 2, Silent Witness), Ashley Laurence (Hellbound: Hellraiser 2, Lurking Fear), Sean Chapman (Made in Britain, Scum). Not only that but it has music composed by Christopher Young (Composer, Drag Me To Hell, Spider-Man 3), written and directed by the creator himself Clive Barker (Writer/Director Nightbreed, Lord of Illusions) and produced by Christopher Figg (Producer Dog Soldiers, Hellraiser 1-3). 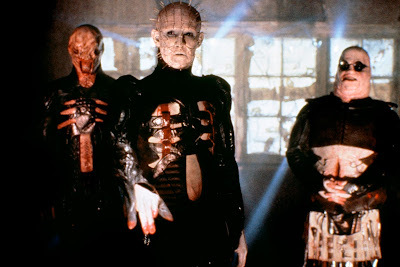 Clive Barker’s debut film, a nightmarish vision of flesh ripping demons wreaking havoc on a suburban household, was unleashed on cinema audiences in 1987, and became a box office sensation, spawning numerous sequels, a legion of devoted fans and turning Pinhead and his Cenobites (“sado-masochists from beyond the grave” as Barker describes them) into horror icons alongside the likes of Freddy Krueger and Jason Voorhees. Thirty years later and the film is as terrifying, nightmarish and gruesomely effective as ever - featuring wonderful central performances from Andrew Robinson (made famous as the Gemini killer in Dirty Harry) and Clare Higgins as the couple, whose life is torn apart when brother Frank appears in the attic and starts demanding flesh; Ashley Laurence makes a terrific horror heroine, attempting to send the Cenobites back to hell. Barker’s taut, twisted script, adapted from his story The Hellbound Heart, coupled with his remarkably assured direction (belying the fact this was his debut) ensures a film dripping with dread, and bursting with inventive set pieces and bloody imagery - including the appearance of the gruesome Cenobites, summoned by the infamous gold puzzle box, and their metal hooked torture devices. The 30th Anniversary re-release - appropriately on Friday 13th of October - gives audiences a chance to see it once more in all its gory big screen glory - and for the uninitiated to have their souls torn apart for the first time! 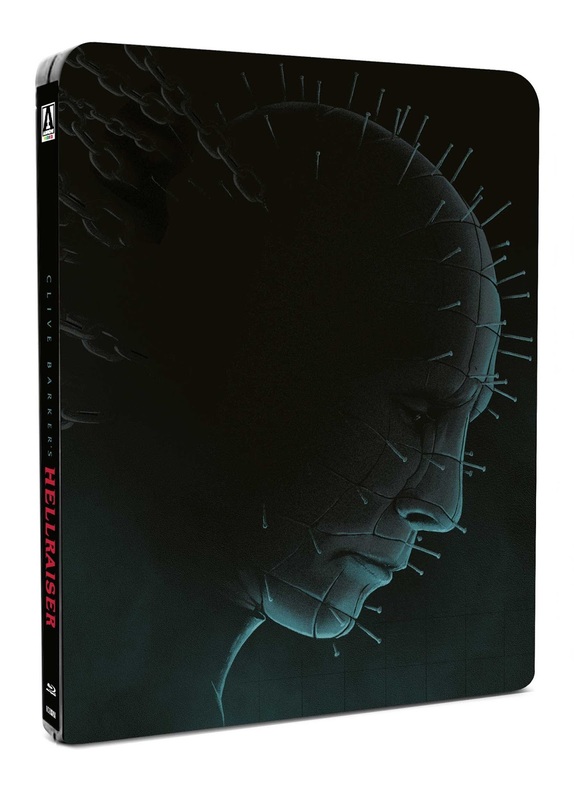 Let's not forget that also in October, Arrow Video release HELLRAISER in a steelbook special edition on 30th October 2017.